With forewords by James Badenoch Q.C. Chairman Emeritus EWI, Dr Jan Wise Chair of the BMA Medico-Legal Committee 2004-2018 and Michael A Foy Chairman of the Medico-Legal Committee of the British Orthopaedic Association. 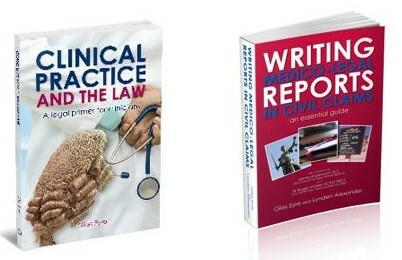 This essential guide to medicine and the law, written by barrister Giles Eyre, addresses the fundamentals of how the law, lawyers and the legal system affect clinical practice. Medicine and the law are intricately linked through statutes, regulations and the common law. Yet, very few clinicians have more than a fuzzy understanding of the law and understand even less about how lawyers will approach medical matters when it is alleged that treatment has fallen short of what is reasonably to be expected of treating clinicians. essential legal knowledge in key-areas of clinical practice, including: Clinicians who integrate the basic legal principles explored in the text into their practice will not only develop a more robust approach to clinical practice, but are also likely to become better clinicians in the process.